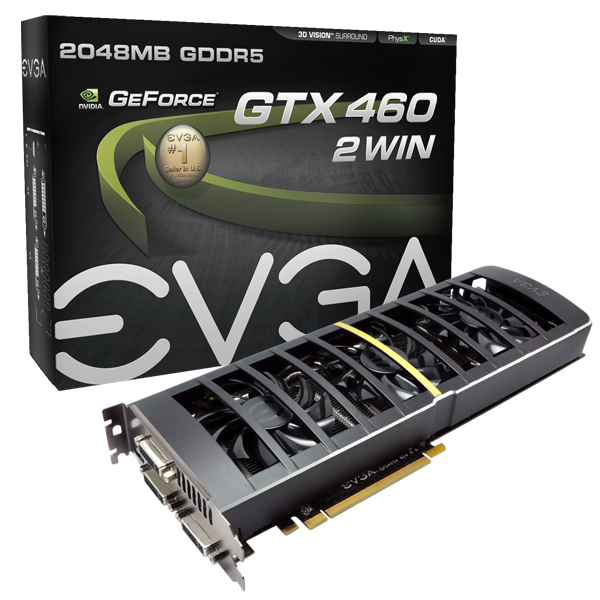 EVGA decide to show-out a Nvidia dual GPU graphic card , not a Geforce GTX590 as expected , its the GeForce GTX 460 2WIN Dual-GPU with part number "02G-P3-1387-AR" which feature a dual GF104 GPU . 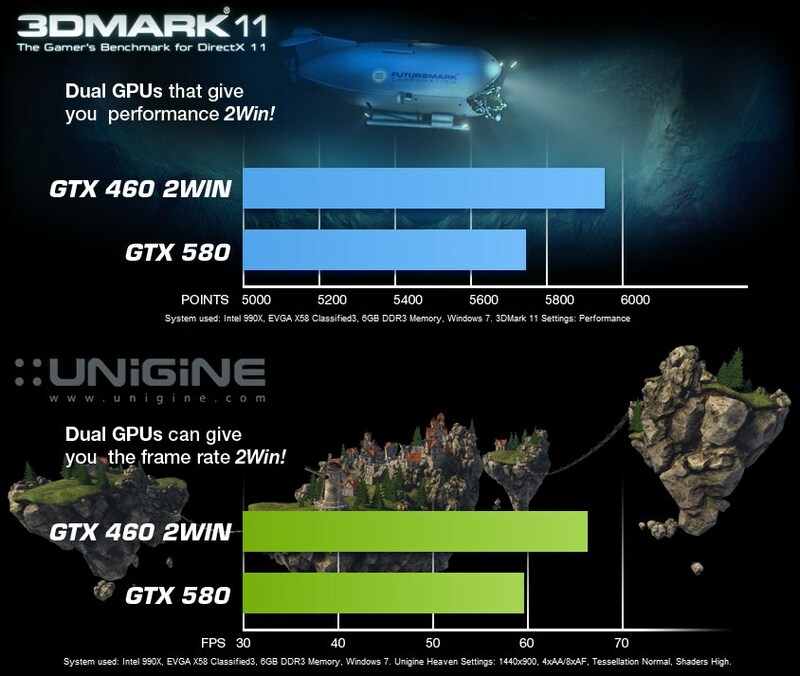 The GTX 460 2WIN specifications are : 700 MHz for the two core clock speed , 900 MHz for the 2GB of GDDR5 memory (3600 MHz GDDR5 effective) and the total number of cores is 672 CUDA core running at 1400MHz, the memory bandwidth between the two GPUs and memory is 230.4GB/sec using a 512 bit bus , this dual GPU card size is 11.5in - 292.1mm . 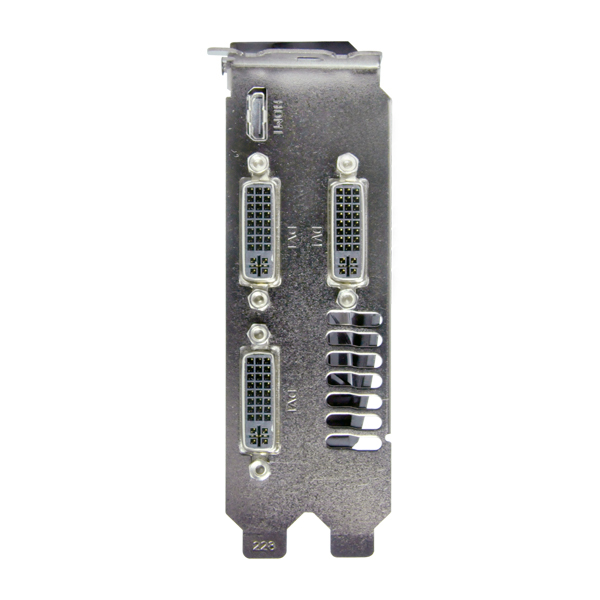 The cooling system used on the EVGA GeForce GTX 460 2WIN uses a large heatsink cooled with three 80 mm fans , the card has 8-pin PCI-E power connectors and require a 700 Watt power supply minimum, outputs are three DVI and one mini-HDMI. EVGA also outs a benchmark test comparing the EVGA GeForce GTX 460 2WIN with the single GPU Geforce GTX 580 card .